The world is not tired of Fast and Furious and the franchise seems to be on a new track, revealing Fast 8 poster that shows the location of the shot. The image was posted by star Vin Diesel on his instagram account. Diesel plays the lead character of “Dominic Toretto” in the globally popular film series. Fast and Furious has been a success not only because of the diversity of the characters (each of whom has their own personal followings), but also because of the “speed thrills” offered by the storyline, which is all about fast cars and heists. 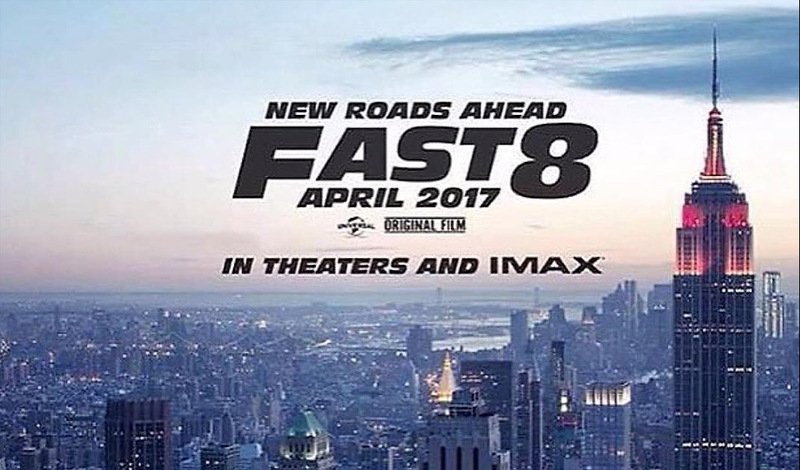 The Fast 8 poster has a New York skyline backdrop with the tag “new roads ahead”. This is an obvious implication towards a new direction to give fans something to hold on to. Getting a new director on board last year was also a big sign that something new was in the works. F. Gary Gray, director of (Straight Outta Compton” has been reassuring the public that they can expect Fast 8 to be something special.